While some men are blessed with fast-growing facial hair, others are struggling with slow-growing or patchy whiskers. Whether you belong to the first or the second category mostly depends on your genetic equipment, but there are certain things you can do to maximize the growth rate and speed up the growth process. Being an effective treatment for destroying cancer cells, chemotherapy also has some big disadvantages as it destroys healthy cells as well. This can cause hair loss as hair is the unfortunate bystander that mostly has to take the fall along with the cancer cells. 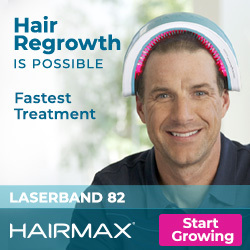 But the good news is that hair loss after chemo won’t last forever! In this article, I am going to explain the process of hair loss after chemo and what you can do to grow back your hair. 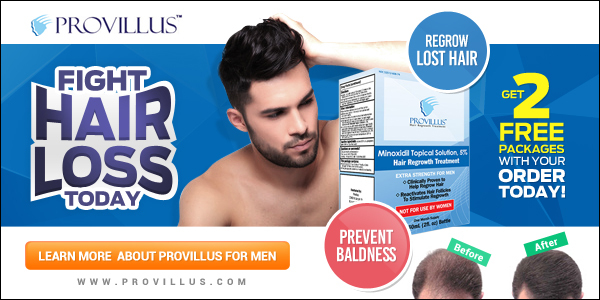 As it is the case with androgenetic alopecia, a condition where hair keeps falling out due to the effects of male hormones (androgens), the main cause of PCOS hair loss is an excess of male hormones in a woman’s body. This leads to hair loss around the frontal region of the scalp. Vitamin D – an essential nutrient that has an impact on our bones, skin and hair! While we absorb Vitamin D through sun exposure primarily, there comes a time when your body lacks Vitamin D, especially during Winter when we aren’t exposed to the sun as much as during summer. In this article, I am going to explain the link between Vitamin D and hair loss and how a Vitamin D deficiency can cause hair loss. Does Coloring Your Hair Cause Hair Loss? THIS Is What Happens! Dyeing your hair can be a fun thing to do, but often comes with harmful side effects, especially when it is done frequently. Most people overload their hair with chemicals including hydrogen peroxide and ammonia which are both common hair dye ingredients and can put stress on your hair. 2020 might be the year of revolutionary changes as the ultimate hair loss cure might be finally found, but what exactly is going to change in the near future and how effective will new hair loss treatments be? Being pregnant is probably the most exciting and fascinating time in a woman’s life. After the arrival of your little bundle of joy, you are probably looking forward to losing all the extra pounds you have gained during your pregnancy, but instead of weight loss, you might have noticed that you are losing something else: your hair!